Any home owner who has owned their home for over 6 months and has a current mortgage with interest over 4% should seriously consider refinancing. The opportunities for savings are tremendous and rates haven’t been lower in years. For a few days in February it looked like the downward spiral in interest rates that had been falling for months might have come to a sudden and abrupt end. The rates on home mortgages began to stall and then climb a bit. However, in the first couple of weeks of March the decline resumed and rates have almost completely recovered and are back down in the 3 percent range. This could be a temporary period of relief, or it could signal a new period of decline in interest. Keep in mind, there isn’t a whole lot more that rates can fall. Banks do need to charge some interest in order to make lending money on home purchases make sense. An interest rate in the 3 percent area is wonderful compared to the skyrocketing rates that home buyers experienced in the last decade. Using figures from mortgage industry leaders like Freddie Mac, one of the top mortgage backers in the U.S. it is easy to see how drastic the improvements in lending rates has been. According to Freddie Mac, nationwide averages for interest on 30 year mortgages with fixed rates have hit 3.75%. That is a 78 basis point fall in just one year’s time, marking the lowest that mortgage interest rates have been in all of recorded history. Rates on other loans such as 15 year conventional fixed rate mortgages are super low too. Across the country home owners can get great rates as low as 3.03% on refinancing when opting for a 15 year loan. 15 year loans have long been a popular choice for home refinancing since it means a huge savings in terms of interest paid over the life of a loan, and now with such low rates, it equals even bigger savings for smart home owners that make the move now to refinance. Buying or refinancing now means great savings with current interest rates on home loans firmly in the 3 percent range. Freddie Mac uses industry figures to create a weekly report on mortgage trends across the country. In this report over 100 banks submit their figures on mortgage applications, interest rates and closing stats. The banks also report on the availability and cost of discount points that they offer home owners in order to get the best interest rates. The latest survey from Freddie Mac shows current 30 year conventional mortgage interest provided at 3.75% and rates on 15 year conventional fixed rate loans down to an amazing 3.03%. These great interest rates do require buyers and home owners refinancing their loans to pay 0.6 points at closing. Discount points pay down interest at the beginning of the mortgage. 0.6 points is a low requirement in order to get such great rates. That is less than 1 full point where a point equals 1% of the total loan size. These new low interest rates on home loans have created a new real estate boom in the country. Homes are more affordable and the availability of mortgages with fantastic interest rates has caused a boost in home values allowing buyers to obtain more home for their dollars while existing home owners can afford to refinance or sell homes that were previously under water. 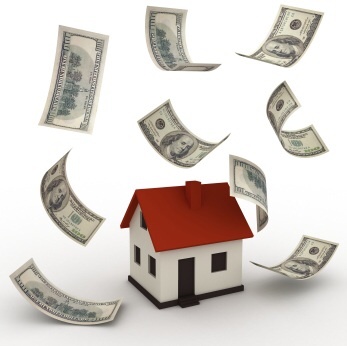 According to Freddie Mac, home owners today can afford 10% more home than their money would buy just one year ago. These figures are all based on conventional bank loans. Home owners and new home buyers can get even better rates and save more with FHA, VA or other government backed loans like the rural area USDA loans. All the signs point to this being one of the best times in history for home owners to refinance existing home loans. Most current home mortgages that were issued in the last two decades have attached mortgage rates far higher than current rates. Along with the lowest rates in recorded history, home owners now are more likely to be eligible for the best home loan programs. Home owners who meet the criteria below should seriously think about refinancing their mortgages. Many home owners are also qualified for Streamline programs from the FHA or VA. If a home owner has an existing FHA or VA backed loan, they can make use of the Streamline programs to painlessly refinance their mortgages. One pitfall that many home owners fall into is the idea that they should wait for the rates to get even better. Keep in mind that there is only so far that interest rates can fall. That combined with the fact that waiting too long can mean missing out entirely if rates change direction and begins to climb. When interest rates on home mortgages climb, they can cause home owners with property that had been underwater to fall into the same situation, preventing them from being eligible for a new mortgage. Instead of waiting to see if rates go down even more, consider other savings advantages such as looking for a zero closing cost mortgage. Eliminating the high cost of closing on a home loan can mean a savings of thousands of dollars up front, and make up for any possible minor interest rate shift that could possibly still occur. Check with your lender. Many banks across the country offer no cost closing loans.